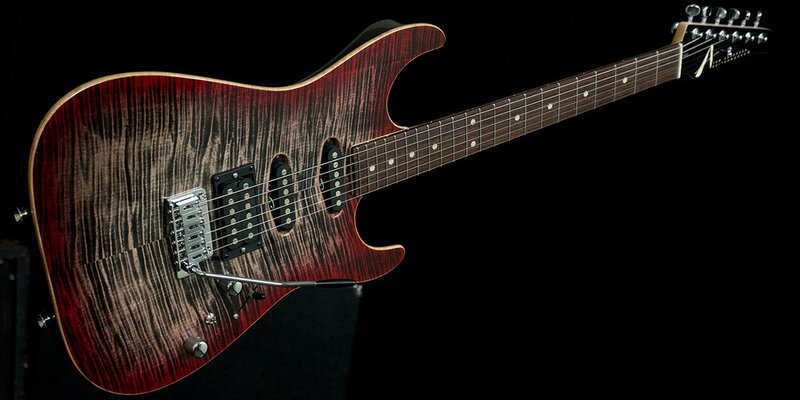 This is Cobra…with a sculpted S-shape body…yes, still a guitar that will peerlessly command the show. Cobra and Coba S have been an Anderson favorite for a long time now. In 1996, Cobra S took its rightful place alongside the renown Cobra, to add the same Cobra crush to the "S" body style. Taking over the (musical) world with an "S" just got a lot easier. Short Scale - 24 3/4-inch strings length. Focused mids, easier reaching and bending. Mahogany Construction: a powerful mahogany foundation of body and neck backs up all Cobra S has to say with midrange muscle. Sleek and svelte, non pickguard "S" delineation. Twin humbuckers - other Anderson pickup options available as well. Simple and versatile switching to access all viable sounds available. Bridge - fully functional vintage-type tremolo or fixed bridge, both with string-through-the-body design for increased saddle tension, offering low-end vibrancy and a bit of a bite, tonally speaking.